How do I print charts/tabs? Printing is as easy a clicking a button! To print the charts/tabs, just select the print icon on the top right of the chart. This will download the chart in a printable format. 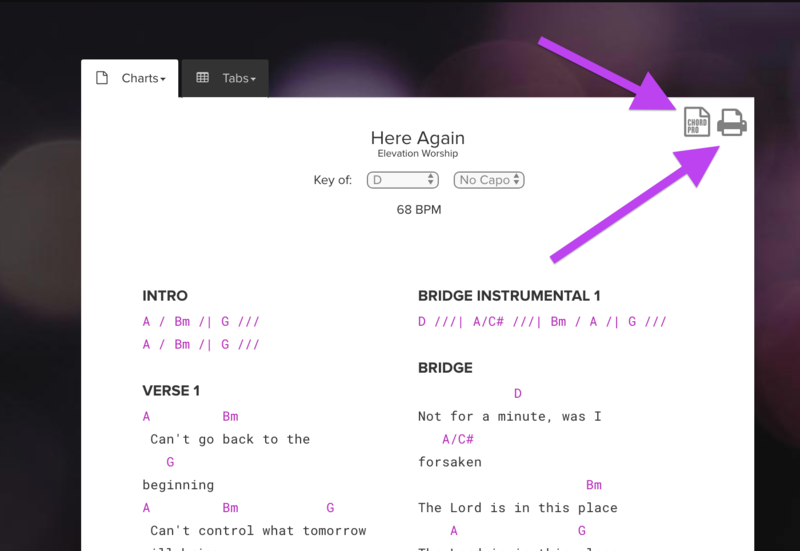 For additional formatting, you can copy and paste the tabs/chords into a word doc. and print from there. Just make sure you use a monospaced font for tabs or else they won't align correctly.